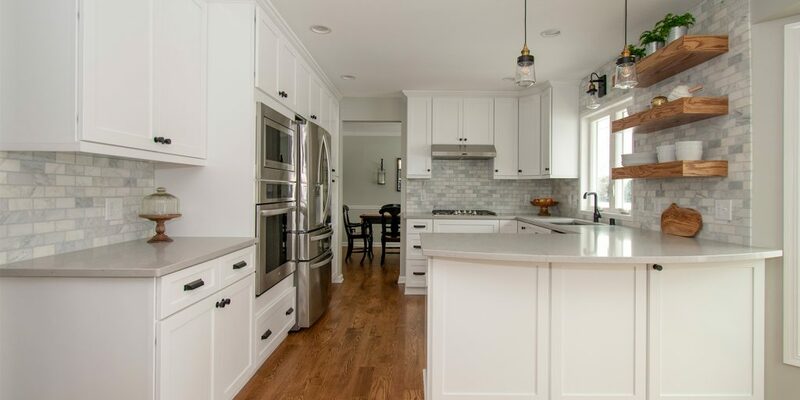 Kowalske Kitchen & Bath remodeled this Delafield home in the Mulberry Grove neighborhood. The renovation included the kitchen, the fireplace tile and adding hardwood flooring to the entire first floor. Although the layout of the kitchen remained similar, we made smart changes to increase functionality. We removed the soffits to open the space and make room for taller cabinets to the ceiling. We reconfigured the appliances for extra prep space and added storage with rollouts and more drawers. 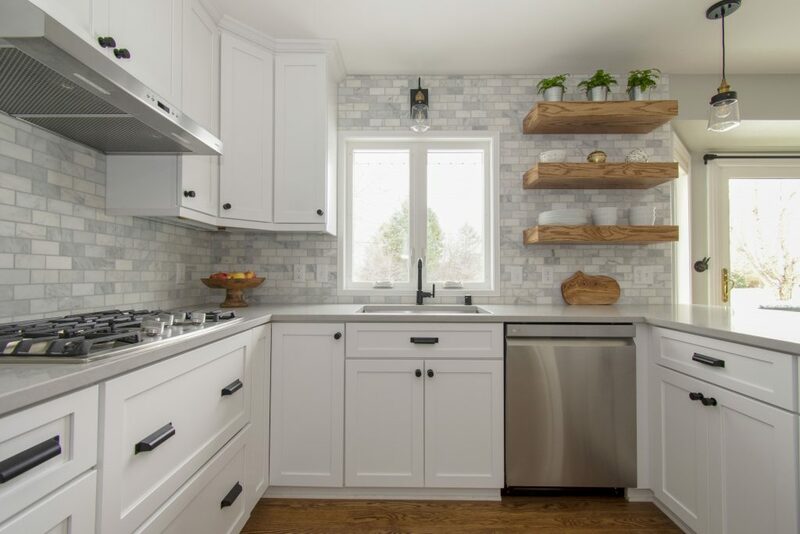 The design is a classic, timeless look with white shaker cabinets, grey quartz counters and carrara marble subway tile backsplash. To give the space a trendy vibe, we used fun lighting, matte black fixtures/hardware and open shelving.